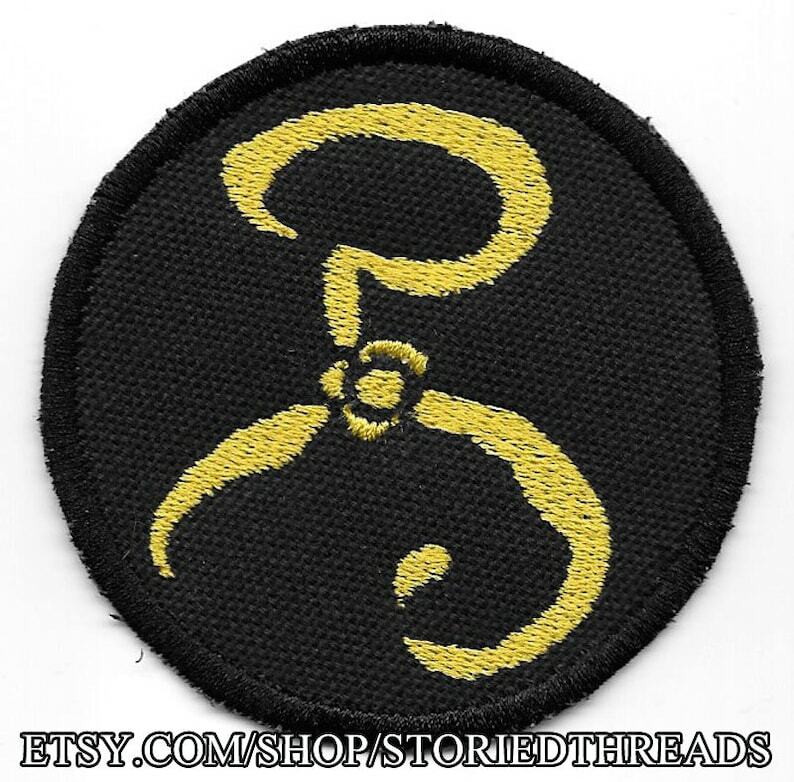 It is said that simply looking at the warped triskelion known as the Yellow Sign, the sigil of Hastur and his avatar, the King in Yellow, is enough to drive one mad. We don't believe that will happen if you wear this patch, but we make no promises. This sew-on patch is stitched on black cotton canvas, and measures approximately 3 inches in diameter. Great patch, and really great work!